We may have some things backwards when it comes to church growth. We have learned much about leadership and growing churches over the last 25-30 years, and culture has changed. But sometimes I think we are trying too hard. Growing a church is hard work, but it shouldn’t need to be forced or feel forced. Sometimes I think we as leaders attempt to compel people to come to church or convince them that they need to come to church. That never works. That approach feels desperate. If we do that it makes it seem like we are selling something rather than caring about people. It feels like we need them to fill a room rather than want God to fill their hearts. When my son and I went to the Paul McCartney concert in Atlanta, Phillips Arena was filled with people who wanted to be there. No one convinced them, sold them, pushed them or talked them into it. In fact, they paid a lot of money for the tickets! It was simple, people who love Paul McCartney told other fans he was coming to town. The attendance was at maximum capacity. And that was just a concert where the artist sang “silly love songs” (McCartney’s words not mine). 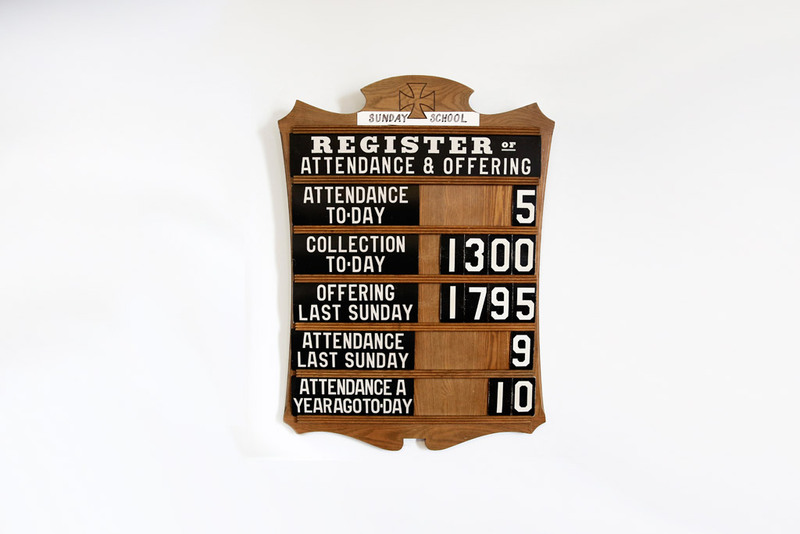 The single best way to NOT grow your church is to try to increase your attendance. When you focus on numerical growth rather than taking steps to see people’s lives changed, you are inadvertently investing your energy into the wrong things. Growing a church is complicated. It’s an intricate mix of systems and spirit, natural and supernatural, but in all cases, It’s better to be deliberate than desperate. Put your heart into it, love the people, and deliver excellent ministry. Pray, develop leaders and trust God for the results. I must confess, I get as excited as you do about a strong and growing attendance. I want to reach more people too! But here’s a great test for you. What disappoints you more, a “low attendance” Sunday, or a week where you don’t hear a story of someone taking a step in the right direction spiritually? What do you celebrate, a day’s big attendance, or stories of life change? What do you talk about in staff meetings? How to get a bigger crowd or inviting people to the best relationship that they could ever know? Yes, there is a “blend and blur”, and these things can overlap. What I’m getting at is your primary motivation. What drives you? What disappoints you? And what do you measure? Set your sights on inspiring people to be there because what they receive is something they just don’t want to miss out on. And remember, you have much more to offer than silly love songs! When your people encounter the living God, the presence and power of the Holy Spirit, and caring leaders, they will come back!